Happy Monday- seriously, I can’t believe how quickly that weekend went!! If only the week would go as quickly!! I’m going to show you the last big outdoor project we’ve done this year- oh man I love doing outdoor projects, I just wish they weren’t so expensive!! We have so many more projects we want to get done, but require both time and money- we have to pick away at them slowly. 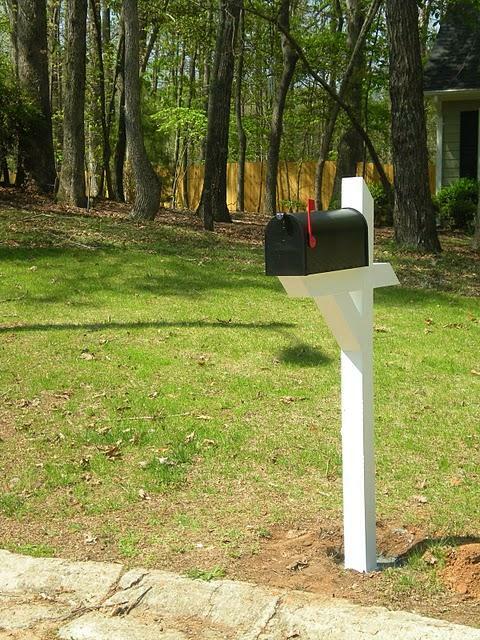 This project was actually one of the first outdoor projects we tackled this year- our mailbox!! 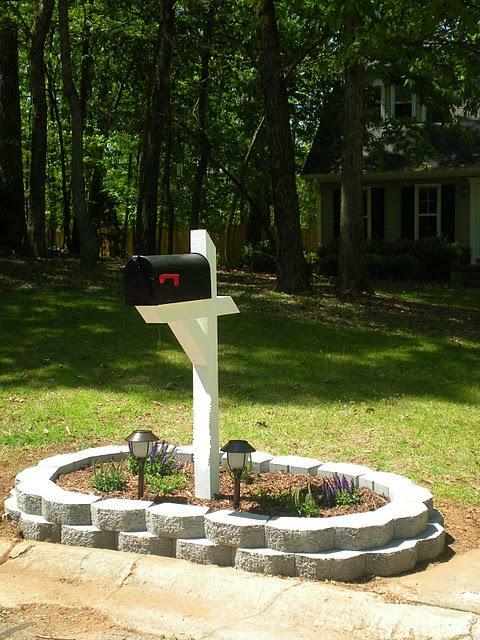 Believe it or not, my husband actually suggested this project- probably because it’s the first thing you see when you drive up to our house, and every day we lived in fear that one day it was just going to fall over when we opened the box to check the mail. So we dug the post out of the ground- lo and behold, it wasn’t even cemented in! 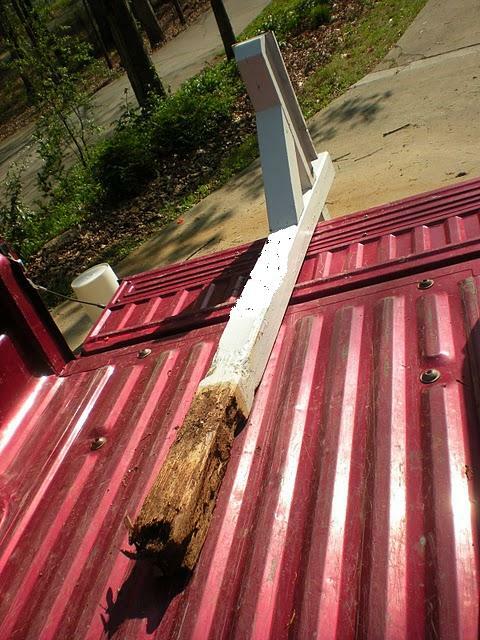 And it was rotting. Ick. Oooh la la- so clean! Let me tell you, this makes mowing SO much easier!! 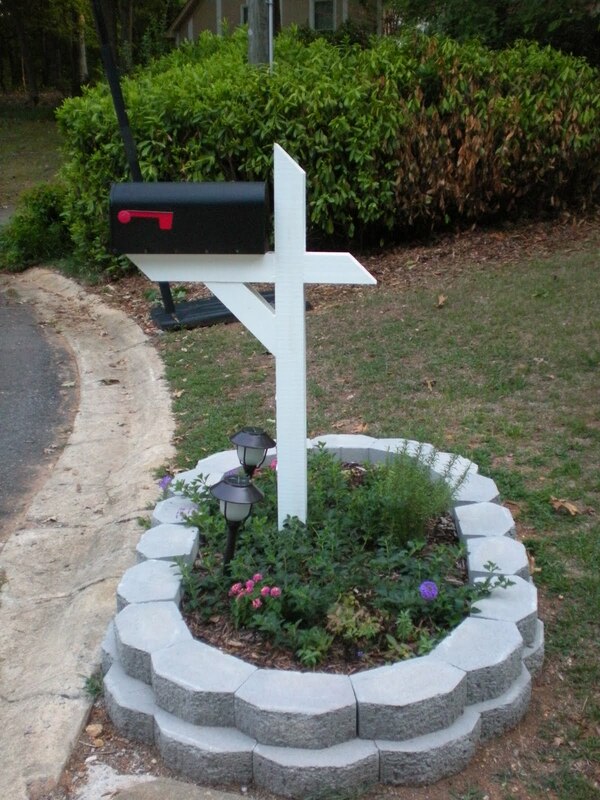 Plus, we don’t have to worry about the mower/weed eater chopping up the mailbox post- this flowerbed makes a nice little buffer. How’s it looking 6 months later? Wow- what a difference some warm weather makes! Everything has gone bananas. I’ve got a purple vining flower on either side of the post that has just taken over. The rosemary has tripled in size (directly behind the mailbox if you’re standing in front of the box). I had to remove a couple of plants that didn’t like it there, and replaced them with some pink lantana (oh darn- more of the pretty plant I can’t get enough of!) Everything we chose for this flower bed is drought tolerant (it’s too far away from the hose, so I wander up there every couple of days with a watering can) and deer resistant (as long as there is food elsewhere for them to eat- so far they’ve left everything alone- I think the rosemary helps, because they don’t like strong smelling plants). Well, there you have it! That’s all the outdoor projects I’ve got up my blogger-sleeve. There will be more one day, I promise. Have a great week everyone!! **Disclosure: I was not paid or compensated by this company in any way for this post.